Jumping out of bed with a spring in your step is a great way to start the day. Unfortunately, plantar fasciitis often has different plans, making your first steps in the morning about as pleasant as walking over hot coals thanks to excruciating heel and foot pain. 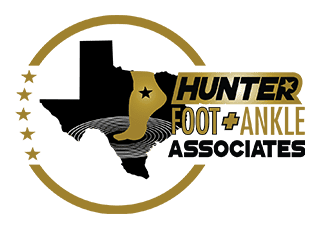 At Hunter Foot & Ankle Associates, PLLC, under the experienced guidance of Dr. Roderick Hunter Jr., we like to partner with our Plano, Texas, area patients to help avoid the painful morning routine brought on by plantar fasciitis. To that end, we’ve pulled together 5 (pain-free) steps you can take to prevent a plantar fasciitis flare-up. Your plantar fascia is a strong band of tissue that runs along the bottom of your foot, providing support for your arches and critical shock absorption with every step you take. Because of its incredible burden, this hard-working tissue can develop tiny tears that cause inflammation and tightening in the tissue, which are behind those painful steps after a period of inactivity. One of the best ways to keep this tissue healthy is to institute a regimen of gentle stretching. To start, grab your toes and pull them toward you to really stretch the tissue (though not too hard). 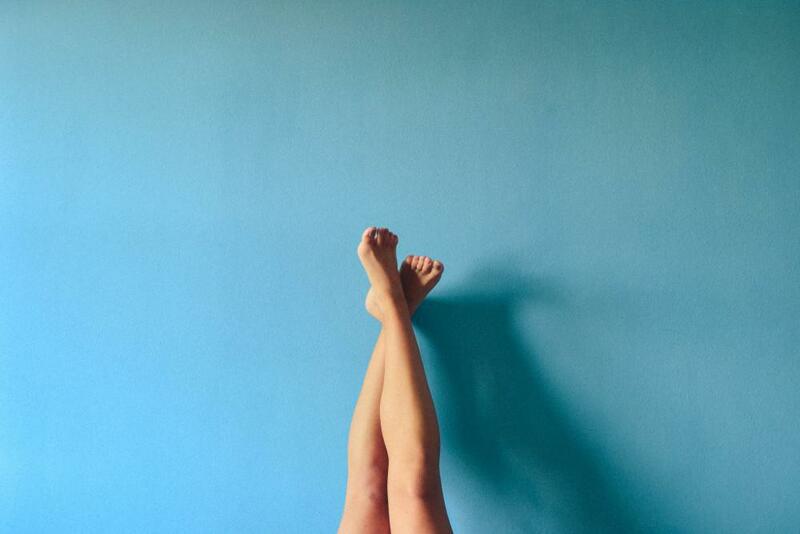 Next, stand facing a wall and place your foot flat on the ground behind you to stretch your calves and plantar fascia. It’s important that you don’t bounce in these stretches, but, rather, hold the stretch for half a minute on each foot. Lastly, you can also strengthen the tissue by scrunching up a towel under your toes several times on each foot. If you’re continually plagued by plantar fasciitis, we may recommend that you wear splints at night that keep your plantar fascia stretched out, preventing it from tightening. While the splints may take some getting used to, the joy of hopping out of bed in the morning without being greeted by pain is worth the initial discomfort. We’ve had great success with our patients who suffer from plantar fasciitis by outfitting them with custom orthotics. These custom-molded inserts prevent abnormal stresses on any one area (your arches and plantar fascia, in this case) by spreading out the load evenly over your foot. The main driver behind plantar fasciitis is inflammation, so we may recommend taking some over-the-counter anti-inflammatory medications to help reduce the swelling. If your plantar fasciitis doesn’t respond to these, we may up our game with corticosteroid injections to tackle the inflammation. As we discussed above, plantar fasciitis comes on the heels of tiny tears in the tissue that develop through excessive wear-and-tear. Since your body is telling you that something’s wrong when you experience that stabbing pain, heed the call and give your feet a much-needed rest. Put your daily running on hold and take the opportunity to perfect your yoga instead, allowing valuable time for your plantar fascia to heal properly. While you’re at it, you might try some icing or heat therapies, whichever feels best for you, to help relieve the pain and reduce the inflammation. If your plantar fasciitis still flares up despite your every effort, it’s time to come in so we can take a closer look and come up with a treatment plan that brings you relief. If you’d like to learn more about preventing plantar fasciitis flare-ups, please give us a call or use the online booking tool on this website to schedule an appointment. If your feet frequently feel tired and achy, something simple like ill-fitting shoes may be the culprit, or you could have a foot problem that requires medical attention. Seeing a professional is the only way to know for sure. A bunion deformity in your big toe can eventually become a disability. Learn more about bunions and the surgical options for treating them. Your body is an incredibly complex machine and relies on a delicate balance for everything to function smoothly. This means that one seemingly small problem — like flat feet — can have a cascading effect that travels up your legs, even to your back. If you have diabetes, you know that being extra vigilant with foot care is a must. Here are some tips from our foot care experts.